IPG Photonics, a Britain-based laser manufacturer, argues in a new court filing that the company will continue to lose business as long as CEO Valentin Gapontsev is listed as a Russian oligarch and U.S. tensions with Russia continuing to escalate, the Worcester Business Journal reports. Gapontsev is a Russian-American billionaire and Worcester resident. He has repeatedly tried to remove his name from a U.S. Treasury list of Russian oligarchs via federal court because, as he said in a new court filing this week, many customers and U.S. contractors are increasingly hesitant to do business with the company. This comes as Russian activity in U.S. elections and elsewhere around the world has dominated the headlines for the duration of President Donald Trump’s presidency. 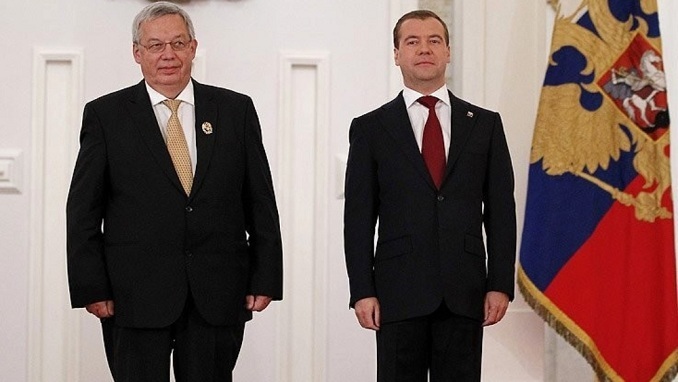 According to Forbes, Gapontsev lost $1.2 billion of net worth in 2018. His Forbes profile says he owns a 23.2-percent stake in the company, which has been hit hard by the U.S. trade war with China and Gapontsev’s Russian heritage. Throughout much of 2018, the company has cited macroeconomic and global political factors for depressed earnings reports. In July, the company lost $3 billion in value as stocks slid nearly 30 percent.